Canada is an enormous country extending over six time zones and framed by three oceans. Much of the land is uninhabited and covered by forests filled with wildlife and beautiful lakes. In the west, where I live, the Rocky Mountains stand guard over the prairies to the east and the coastal mountains to the Pacific West. 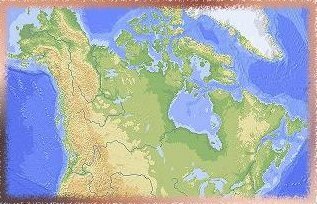 Although European countries plundered nations to the south for gold, the French and English had visited the eastern coastline of Canada for centuries fishing and travelling inland through the waterways seeking fur - especially beaver. A very peaceful land, its western settlement was directed by the railroad companies and the establishment of the Mounted Police. On my maternal pedigree, I am descended from the earliest French Candian settlers who arrived in the 1600's. Another part of my family helped homestead the west, building sod huts and eating gophers to survive through our harsh winters. All of my ancestors endured many hardships to help found this magnificent country of Canada.